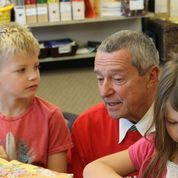 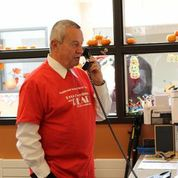 A couple of more photos of the Minister of Education, Peter Fassbender, and his visit to Richard Bulpitt Elementary on BC School Library Day. 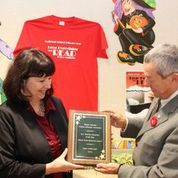 Our BCTLA TL of the year Deb Cowland hosted the Minister in the brand new Richard Bulpitt Learning Commons. 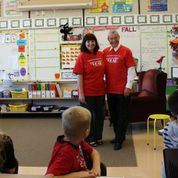 Photos courtesy of Deb Cowland.